Dr. Amruta Kakade is a trusted Dentist in Karmoli, Pune. She has been a successful Dentist for the last 16 years. She is a qualified BDS . You can visit her at All Care Dental Clinic in Karmoli, Pune. Save your time and book an appointment online with Dr. Amruta Kakade on Lybrate.com. Lybrate.com has a nexus of the most experienced Dentists in India. You will find Dentists with more than 33 years of experience on Lybrate.com. 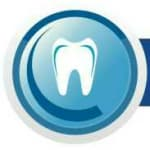 You can find Dentists online in Pune and from across India. View the profile of medical specialists and their reviews from other patients to make an informed decision. Dr Amruta has a very positive attitude towards all the patients. I am so happy with the results of my teeth whitening treatment, that I will surely recommend this doctor to anyone gladly. The All Care Dental Clinic is designed in such a manner that all requirements of patients are taken care of. My boss referred me Dr Amruta Kakade. She is a very practical doctor. The facilities available in the All Clinic are very nice i went there for my whitening treatment. The complete process of whitening treatment was so painless and quick, and i am so relieved that I chose to consult her. Myself and my family are regular visitors to Dr. Amruta's clinic. We found her to be sincere and offering best care. I appreciate her eye for detail which is seen in hygiene levels, followup, etc. Professional, briefed about the procedure, post treatment follow up. Very Good experience. Professional Attitude towards work. For preventing the formation of bacteria in your mouth, rinse your mouth with an alchohol-free mouth wash. The presence of flouride in the tooth paste helps in keeping tooth problems away. It hardens the tooth enamel which is healthy for the teeth and reduces the risk of tooth decay. There should be a limited intake of soft drinks, cordials and fruit juices as they are acidic in nature. Acidic food or drinks often soften the tooth material which leads to the dissolution of minerals into the tooth enamel, resulting in cavities (holes).